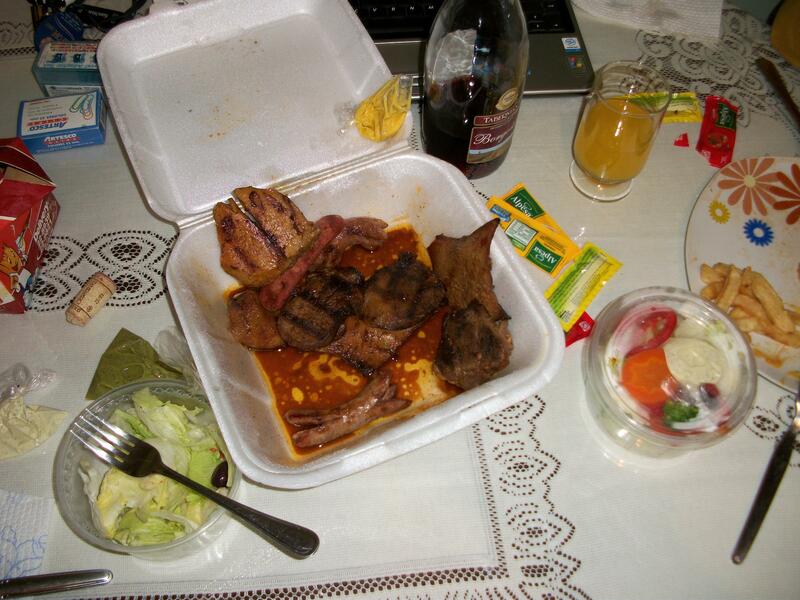 Occasionally we order a “parrilla para 2”, or “grill for 2” from the Tablon restaurant chain. There’s a ton of yummie food and in our case, it’s more like a “grill for 2-and-a-half”, plus leftovers. Goes great with a Cerveza Cusqueña or a glass of wine. Peru is a poor country with only a small percentage of arable land due to the mountains, desert (coast) and jungle, so it is only natural that many types of food are standard fare. Here in the mountains we eat mostly chicken and pork, but I’ve also had goat, alpaca and of course “cuy” or guinea pig, a local specialty. 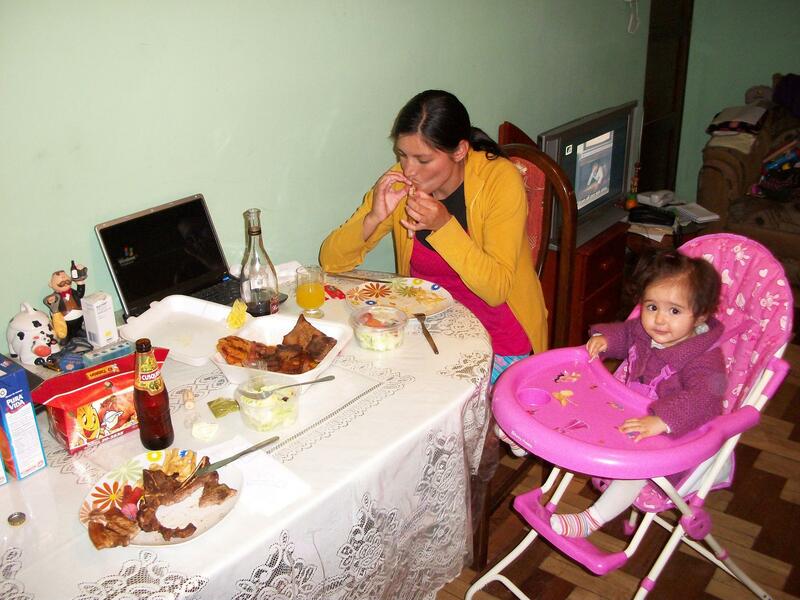 This entry was tagged food, parilla, Peruvian food. Bookmark the permalink.